Newly appointed Commissioner of Agriculture and Commerce Andy Gipson was sworn into office by Chief Justice William Waller, Jr. during a ceremony held at the Mississippi Department of Agriculture and Commerce on April 2, 2018. 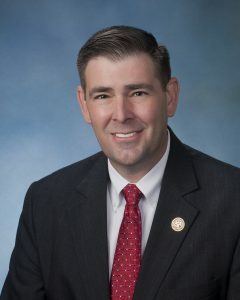 Gipson will serve as the eighth Mississippi Commissioner of Agriculture and Commerce, replacing Cindy Hyde-Smith, who was appointed to the U.S. Senate by Gov. Phil Bryant last month. Gipson will carry out the remainder of Hyde-Smith’s term. As a farmer, lawyer, pastor and former State Representative, Gipson looks forward to working with everyone in Mississippi to promote, market and strengthen agriculture and commerce in the state. “This summer, my family and I will travel to all regions across the state visiting its diverse farms to get to know our farmers and their issues, challenges and opportunities,” he said. Gipson has owned and managed a cattle operation in Simpson County for more than 20 years and a tree farm since 2004. He is a member of the Mississippi Cattlemen’s Association and the Simpson County Development Foundation. He represented House District 77, which serves parts of Simpson and Rankin counties, in the Mississippi House of Representatives since 2008. During his legislative service, Gipson acted as the chairman of the House Judiciary B Committee from 2012-2018 and chairman of the Ethics Committee from 2016-2018, as well as served as a member on the House Agriculture, Appropriations, Ways and Means, County Affairs, Insurance, Municipalities, and Transportation committees. He was recently selected as the Mississippi Legislative Conservative Coalition’s 2018 Conservative Legislator of the Year. 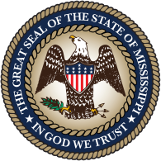 Gipson was treasurer for the Mississippi Legislative Conservation Coalition from 2010-2017 and treasurer for the Mississippi House Republican Conference from 2012-16. Mothers Against Drunk Driving named him Legislator of the Year in 2014, 2015 and 2016. In 2014, Pro-Life Mississippi named him Pro-Life Legislator of the Year. The National Rifle Association bestowed its Defender of Freedom Award on Gipson in 2013. That same year, the Central Mississippi Friends of NRA selected him for the Kirk Fordice Freedom Award, named after the former governor. Gipson received a bachelor of arts in political science in 1999 from Mississippi College and a juris doctorate from Mississippi College School of Law in 2002, graduating first in his class of 113 students. He was active in the Christian Law Students Association and was editor-in-chief of the Mississippi College Law Review. He has been in private law practice since 2002. Gipson is a Baptist minister and has served as pastor of Gum Springs Baptist Church since 2011. He and his wife, Leslie, have been married since 2001. They have four children — Joseph, Benjamin, Abigail and Sarah. They reside on their small working farm in Simpson County.